Good especially for preschool-early readers and special needs groups. 30 min. 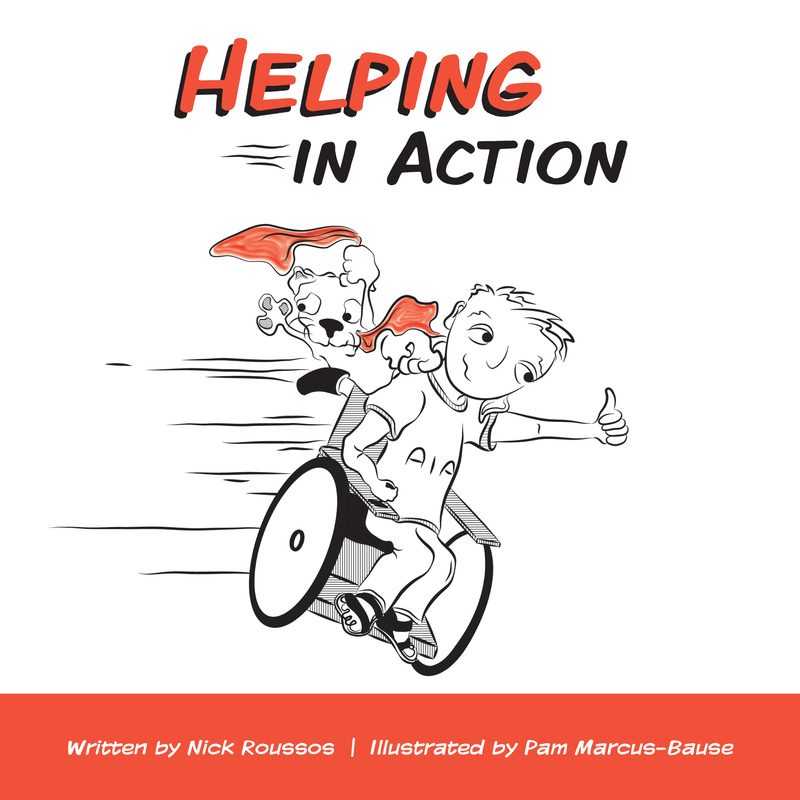 Nick can come and read his book, Helping in Action, with the aide of his communication device. 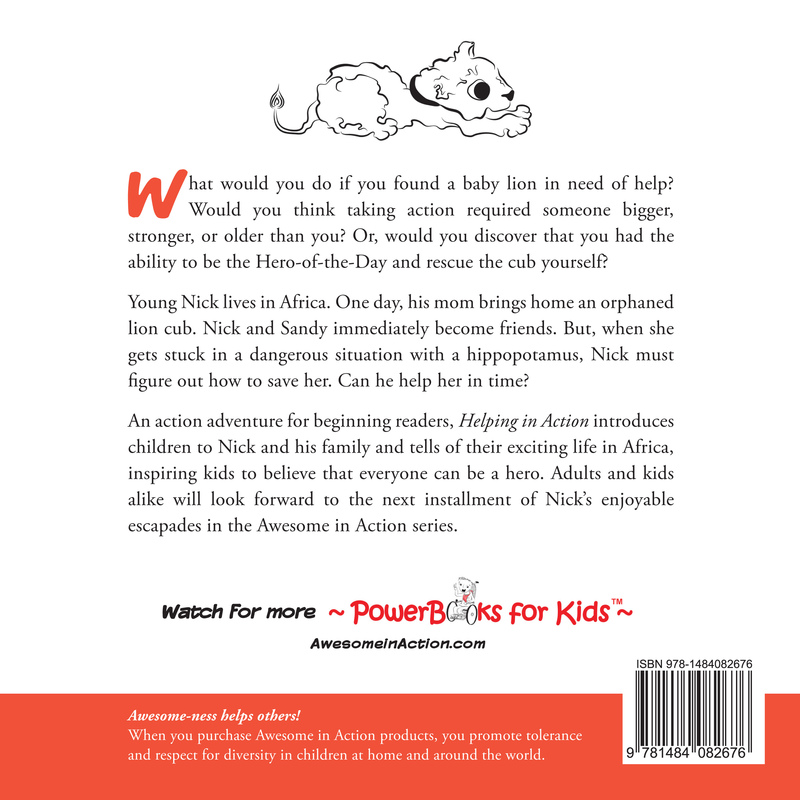 Helping in Action is an awesome adventure about a boy in Africa who realizes he is capable of being a hero when he finds a baby lion in need of help. This program is mutually beneficial; Nick gets to share his story, and your group has the opportunity to witness someone speak in a different manner and move in a different way. His story helps children understand that disabilities do not stop a person from helping, or having a full and happy life. Questions following the formal presentation are always encouraged.